Any tutorials on how to create templates for directorzone? 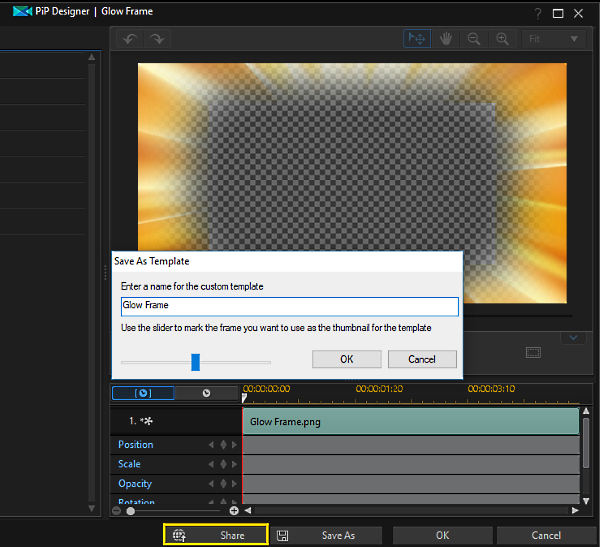 Just recently purchased Power Director 15 Ultimate and was wondering if there is any tutorials on how to create templates to share? Since getting the program, there seems to an underwhelming amount of templates the program comes with and not many on the site I have seen that does what i am looking for, so I been playing with PD15 a few hours here and there and figured how to do a few things I wanted, now to figure out the rest. It's a very simple process, once you've created or modified a template. The same applies whatever module of PDR you're using. After creating a title, PiP, particle, menu (or other) template, you can select Save, Save As or Share. Save & Save As simply save the template to your library. Share saves it to your library and shares it on DZ or CL Cloud. You just need to sign into DirectorZone, complete the details and your template will be uploaded. Here's the one I just made for the screenshot above. 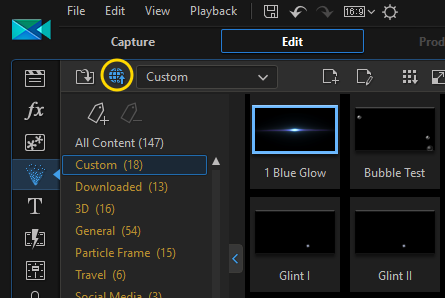 If you have an existing template you'd like to share, just open your PiP, Titles, Particles, Menu etc Library, select the template to upload and click the Globe icon. You'll be taken through the same sign-in & details steps and your template will be shared on DZ. Every time someone go to the DZ there is a lot poor quality beginner uploaded templates that clogs up and slows down the pages because they don’t know very much. It can take a lot of time for someone to sort out and find the good ones from the bad ones. Thnaks for the replies, I had originaly just figured to make a temple you had to create something as you would a video by adding stuff to the timeline and then save it, but that did'nt work and then I found the really small Create Template button lol. Now that step 1, find button, has been accomplished, I can now move on to trying to make stuff people won't hate.